The Africa business media innovators conference is an annual event hosted by Bloomberg to advance business journalism, build media capacity, convene international leaders and improve access to data to promote transparency, accountability and governance on the continent. Wigwe’s and Chimamanda’s words are befitting as we launch the Women in Media Network (WIMN) digital platform to change the narrative of women and children in Africa. 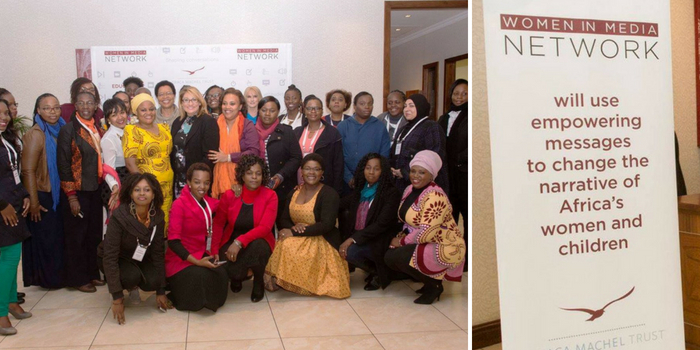 With the aid of the The Norwegian Agency for Development Cooperation (NORAD) grant, the Graca Machel Trust set up a Pan African Network of an intergenerational mix of 39 female journalists, bloggers and social media experts in both traditional and new media in 2016 to collectively strategise and develop empowering story lines aimed at changing the narrative of women and children in Africa. Women are often depicted as victims of hardship, suffering, poverty, and under development. The Global Media Monitoring Project, sponsored by UN Women, states in its report on Who Makes the News? that only 20 per cent of women are heard in Africa’s media. The report, which tracks how women are covered and given voice in the global media, also shows that only four percent of stories challenge female stereotypes in the media. Stereotypes and the negative portrayal of women reduce the number of positive role models from which younger persons can learn and model their behaviour. 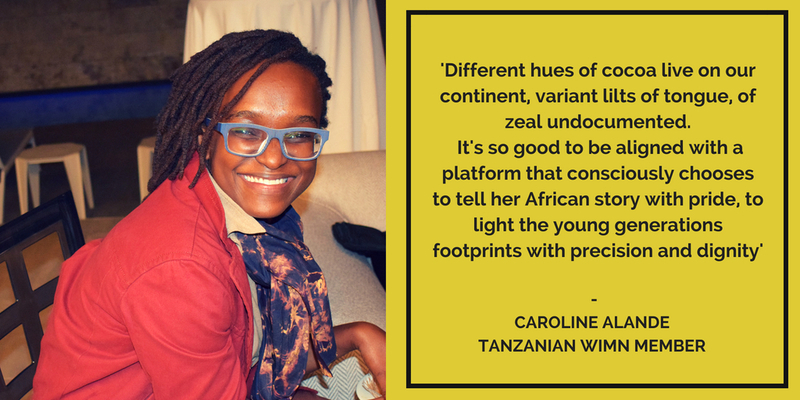 Represented in 15 African countries, the WIMN, through this digital publishing platform aims to change this narrative by telling the other side of the story that presents women as strong, capable, intelligent, resilient and inspiring. 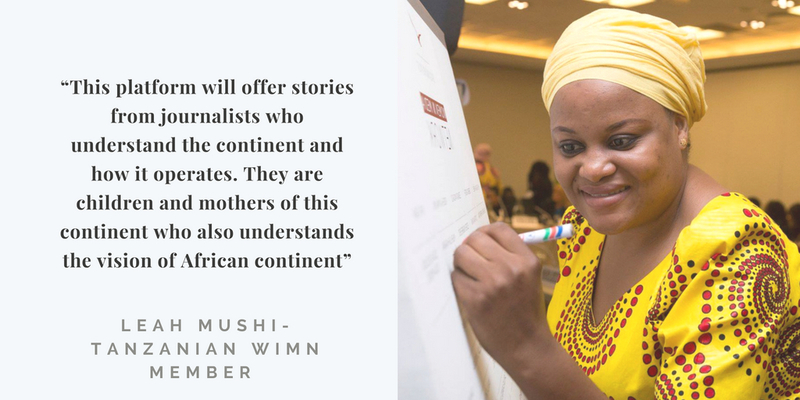 We hope women journalists will use the platform to tell inspiring stories of women making a difference on the continent in a more professional and nuanced way. Wigwe adds that the media remains the most powerful medium to spread the African story and Africa media needs to take the lead. “If we don’t see ourselves, then we don’t exist,”says writer and journalist Maimouna Jallow, quoted in the same report. The report notes that by leveraging media, Africans can play a role in shaping and changing the rhetoric. Mrs Machel Video at the Bloomberg conference.